Emergency call boxes have been strategically placed throughout the campus for the safety of the college community. 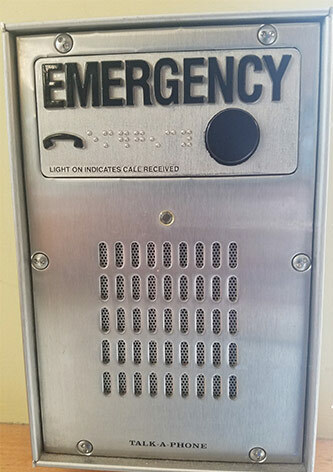 The emergency call boxes, when activated, automatically contact the Brooklyn College Public Safety Central Radio Dispatch, notifying the public safety dispatcher of the caller's exact location. Students and staff are encouraged to learn the location of emergency call boxes and to use them for all security emergency communications. Any problems regarding the condition and/or use of the emergency call boxes should be forwarded to the Brooklyn College Public Safety Office for immediate attention. If an emergency should arise, individuals can use the emergency call boxes or an in-house phone by dialing extension 5445 or 5444 to contact the Brooklyn College Public Safety Central Dispatch. Push the red or black button. The red light indicates you pressed the button and help is on the way. The dispatcher will receive automatic notification your location. While on the line, assistance will be dispatched to your location. Do not leave the area unless your physical safety is in danger. 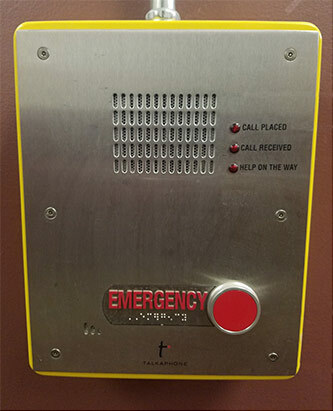 If you are being followed, chased, or threatened, activate an emergency call box and keep moving to the nearest occupied building, activating other emergency call boxes as you pass. All emergency call box activations are investigated regardless of a response.